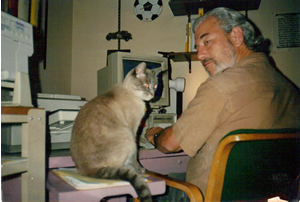 For over 30 years, Vee Enterprises has been a pioneer and innovator of Cat Toys- raising and redefining the bar for others to reach. With their groundbreaking debut in 1988, Vee Enterprises introduced the first interactive cat toy, The PURRfect® Cat Toy. The creative design of infusing teaser elements of movement and sound with durable pet safe materials- capable of withstanding the roughest cat play- raised eyebrows and standards in the industry gaining the Cat Fancy Grand Award: Best New Cat Product of 1992 Award. In 1990, Vee Enterprises had solidified their reputation for quality American Made cat toys by introducing The PURRfect® Feather Cat Toy. This long wand interactive cat toy separated Vee from their competitors by using natural feathers and soft pliable connections without any metal pieces- keeping cats safe from chemicals and dangerous metal parts that had become common elements in the Cat Toy Community. Reviews from Cat Fancy, Veterinarians, Chicagoland Tails, etc poured in praising its durability and action. Vee Enterprises found their forward thinking and persistent pursuit of quality toys had earned its rightful place in every cat owner's home. Taking their philosophy and ethics into other fields of the pet industry, Vee Enterprises began manufacturing and distributing other unique top of the line pet products for their dedicated toy users. 1992 marked Vee's ambitious growth into Dog Toys. The Chase 'N Pull Dog Toy demonstrated Vee's versatility and ability to make an impact no matter where they put their efforts. The faux fur squeak toy attached to a sturdy rope and wand proved to withstand the strongest dog jaws, while still snatching man's best friend's attention. 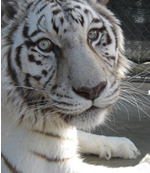 In fact, it has proven to be a favorable and durable play toy amongst tigers as well! Now with over 30 years of quality products and toy manufacturing, Vee Enterprises continues to create new, attractive, and innovative products while maintaining their reputation of top of the line quality. Introducing their Cat Toy Bouncer series, their Litter Trapping Mats, and their PURRfect® Wild Hemp Cat Toy continues to prove Vee's consistent performance and the highest standard in pet toys and pet products. Please visit our Product Gallery to see what new inspirations are in store for your pets! We pride ourselves in giving special attention to detail and rigorous quality control. Many of our patented toys have won Awards by Cat Fancy Magazine, among others, and have been featured in numerous articles in the trade press. Our toys have been shown on such television shows as National Geographic's "Cats" and "Cats and Dogs" on TBS. Due to their patented, sturdy construction, our unique Dog toys are even used by animal trainers in the cages with tigers, lions, snow leopards and cougars. Our products are used and recommended by veterinarians and animal trainers throughout the US and enjoyed by animals all over the world. 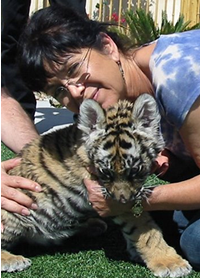 See Lorie with some of her favorite kitty photos here.